Depending on the advantages of high quality, advanced process, sincere service, etc. highlights, the third generation sand making machine called VSI5X Vertical Shaft Impact Crusher has won many praises from customers. VSI5X Vertical Shaft Impact Crusher takes advantages of small covered area, high economic benefit of investment, quality finished products and low stone powder rate, which can be widely used in metallic ore and nonmetallic ore, cement, refractories, glass material, building aggregate, artificial sand, metallurgy, etc. materials. Besides, it can also used in all kinds of materials with medium or fine hardness, such as iron ore, nonferrous metal ore, emery, bauxite, quartz sand, brown alumina, perlite, basalt, etc. Faced with construction peak period of infrastructure, we should know there is a big market demand. So the process requirement of the third generation sand making machine is also improved. 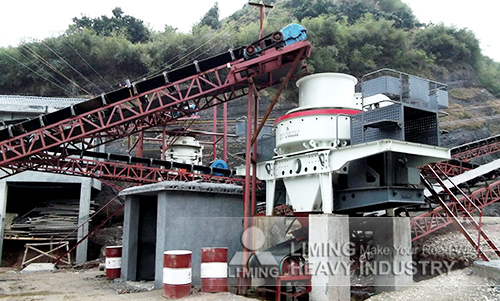 Based on 30 years of history, Liming Heavy Industry with rich experiences has attracted many attentions. If you are interested in VSI5X Vertical Shaft Impact Crusher, you can contact us by leaving messages.